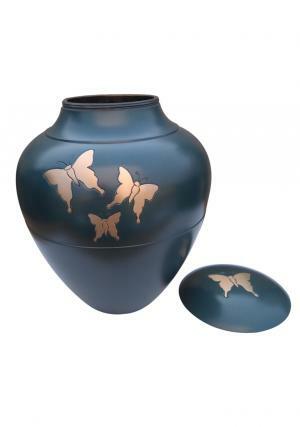 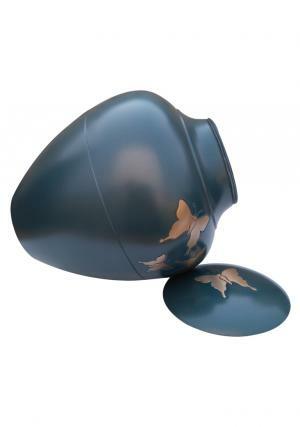 » Size (Inches): 7.09" X 7.09" X 8.66"
Golden flying butterflies adult urn is a human ashes carrying large convertible open and secure closure vase urn made of strong quality brass with a unique design of presence. 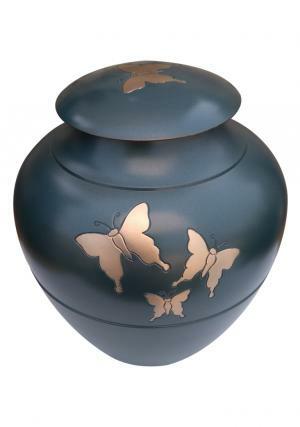 The adult urn is broadly stretched at the center with cutting edge design and intricately hand designed golden butterfly shining well in the brightness of light. 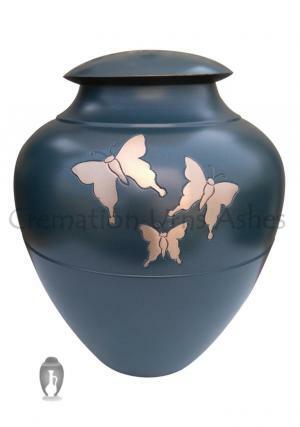 The adult large memorial urn is coated in unique blue enamel on brass metal with pebble top lid curving in threaded screw with great edge looks to secure ashes of the adult human and decorate in a loved interior space.